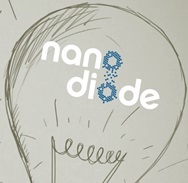 NanoDiode will organise a governance workshop: Organising Stakeholder Engagement in Nanotechnologies and other Key Enabling Technologies on 4 December 2015 in Brussels. This workshop brings together European Commission staff, NanoDiode partners and invited experts to discuss opportunities and challenges for organising stakeholder engagement as a central key to address Responsible Research and Innovation in nanotechnologies and other key enabling technologies. The workshop presents the findings from NanoDiode and discusses case studies to find solutions to practical problems in stakeholder engagement.